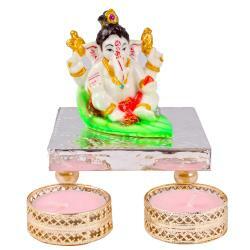 Product Consists : Floral Lord Ganesha Idol (Height : 1.9 inch) along with Roli Chawal. 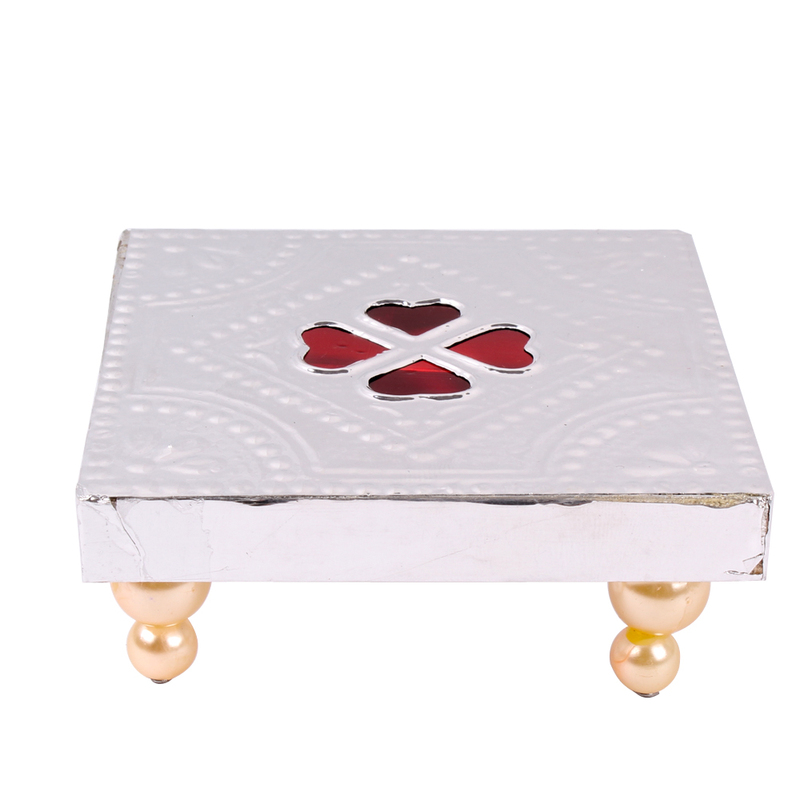 Lord Ganesha Attractive idol on flower. 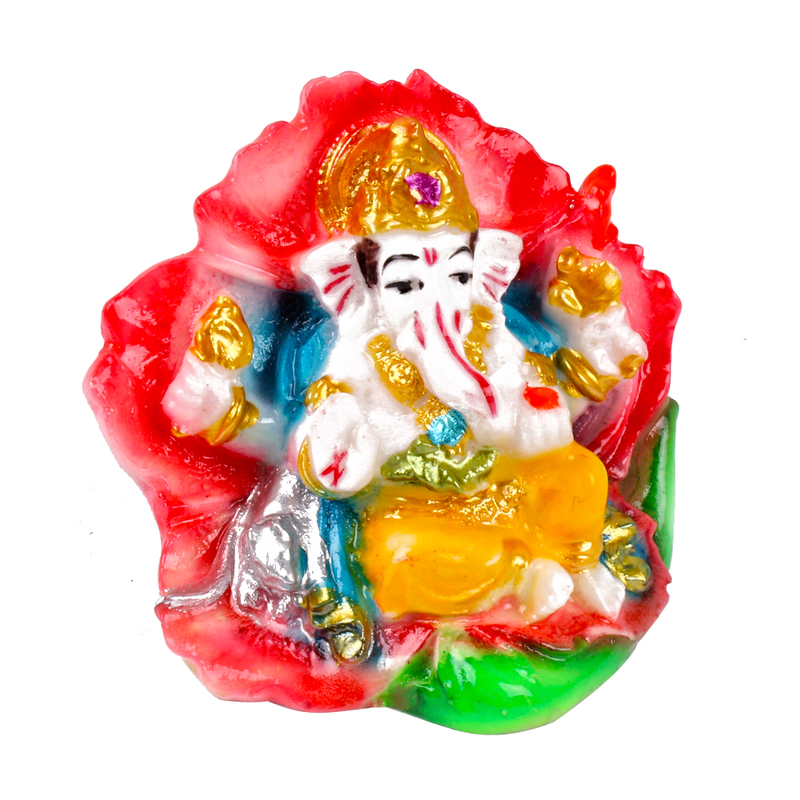 Ganesha is a god of wisdom, success and good luck give this Ganesha to your friends, Family and for the people you Care For. 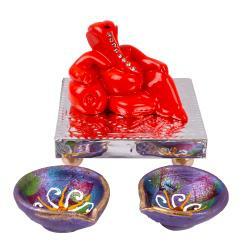 You can place this beautiful Ganesha in Your Living Room, Car, office desk and pooja room. 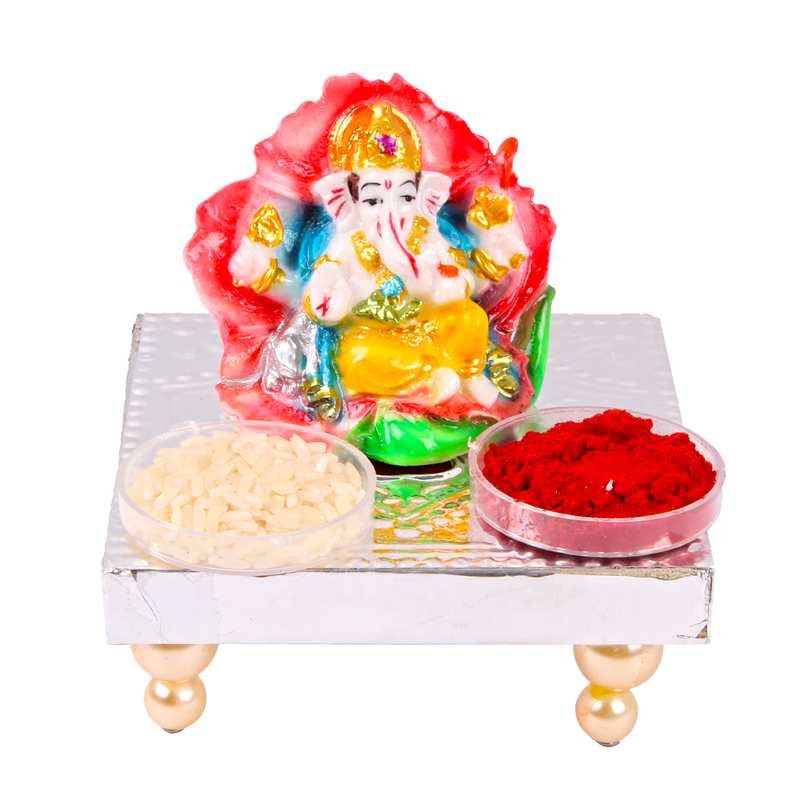 Product Consists : Floral Lord Ganesha Idol (Height : 1.9 inch) along with Roli Chawal.